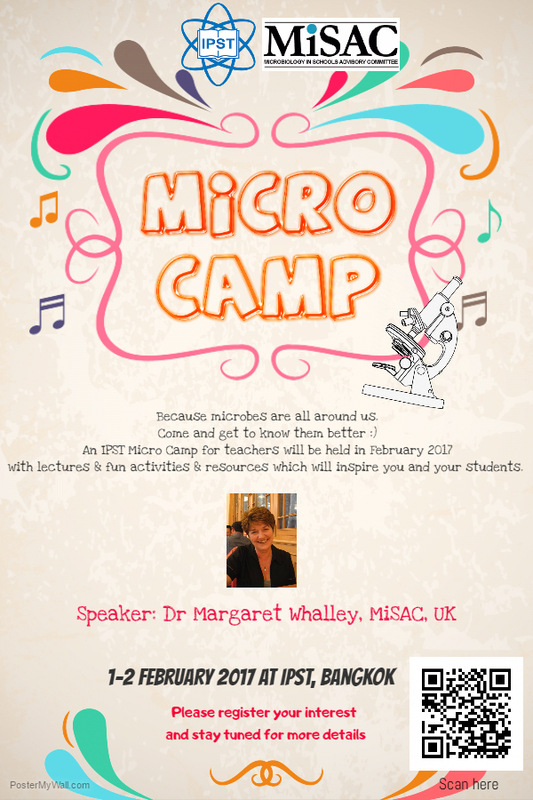 IPST’s Academy of STEM (ASTEM) would like to invite teachers to join “Micro Camp”, a camp that introduce the world of microbes. It includes talks, labs and fun activities that would inspire you and your students. We will get back to you on the details of programme and pricing.